MANDATORY PREREQUISITES: All students who enroll in this course must have completed Making Math Real: Pre-Algebra, Making Math Real: Algebra I, and Making Math Real: Geometry Part I. Since Geometry is a synthesis course, it is strongly recommended to also have completed Making Math Real: Kindergarten and Making Math Real: 9 Lines Intensive. 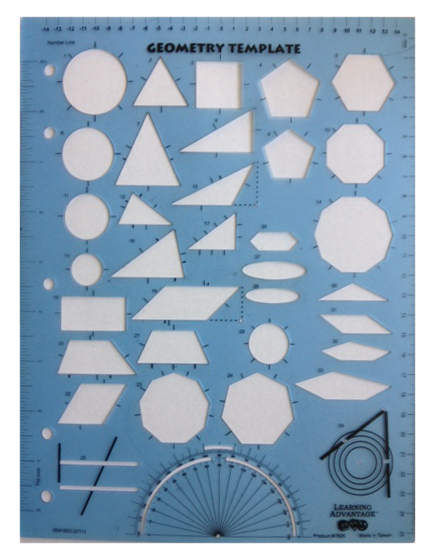 COURSE DESCRIPTION: This course continues the development from Making Math Real: Geometry Part I for Elementary and Middle School and provides the comprehensive, simultaneous multisensory structured methods for teaching high school level geometry. It is designed and intended for educational therapists, special educators, and elementary and secondary classroom teachers. Parents and those who consider themselves non-math majors are especially encouraged to enroll. Topics include full units on the Fundamentals of Geometry: points, lines, planes, segments, rays, angles, properties of parallel lines, and properties of triangles; Developing Deductive Proof: congruence, congruence shortcuts, 2-column proofs, and attributes of quadrilaterals; Right Triangles and the Pythagorean Theorem: properties of right triangles, the Pythagorean Theorem, special right triangles, coordinate geometry with distance and midpoint, and trigonometric ratios; Area, Surface Area, and Volume: triangles, quadrilaterals, regular polygons, compound figures, properties of circles including sectors, segments, and annuli, polyhedrons, and 3-dimensional space figures (cones, cylinders, and spheres), and compound solids; Similarity: similar figures, polygons, and triangles, mid-segment proportions, geometric mean, and proportions for length, area, and volume. Geometry is the mathematics of synthesis, and the focus of this course is on providing students with the requisite perceptual developments that enable synthesizing partially given information into a complete big picture. Synthesizing partial information into a complete whole is the cognitive basis for success with deductive proof, and developing deductive proof is given significant emphasis throughout this seminar. This means that within each unit, the structures for teaching all the content include the perceptual incrementation necessary for synthesizing part to whole in all the geometry content, not only for completing deductive proofs. The developmental purpose of this course continues the overarching focus of all Making Math Real clinical methodologies: the integration of key cognitive developments that directly support executive function in activating and sustaining working memory. Working memory for math is the perceptual experience of comprehension: knowing and understanding what we are doing throughout problem solving. In geometry, the cognitive demand for activating and sustaining working memory is extremely high, because in geometry, we must synthesize and hold the complete perceptual big picture in working memory to successfully engineer deductive proof, apply geometric relationships in solving problems, and manipulate geometric figures in the mind. Our ability to sustain the complete perceptual big picture requires further rigor and clarity of focus, because in geometry, we do not write or express anything until we know with certainty it is a fact. Knowing with certainty before expressing the solution, or any part of the solution, requires the development of a strong executive function directly supporting the ability to sustain a robust working memory picture throughout problem solving. The development of a strong executive function that monitors and regulates a robust working memory picture is how we learn to manage the details in out procedural work, and is the basis for being successful with deductive proof and all of geometry. Geometry introduces a perceptual, structural code that provides factual certainty. The provision of this code of factual certainty deepens the integration of students recognizing factual basis, because geometry, within all of its problem solving, requires certainty before expressing any statement, solution, or conclusion. Using language and/or physical markings on figures, the codes of geometry tell us explicitly that lines are perpendicular, planes are parallel or two angles are congruent. Applications of geometry also help to string together two or more facts to find new facts, such as two angles are congruent because they are vertical angles; and two lines are perpendicular because the angle they form at their intersection is 90˚. It is never correct to assume lines are perpendicular just because they appear to be in the figure provided; or that angles are right angles, because to the eyes, they look like 90˚ angles. Geometry is not the mathematics of appearances and assumptions, only facts. Therefore, another significant focus of this seminar is on helping students to decode and encode the structural codes of geometry to support their ability to activate and sustain factual certainty prior to expressing any solution. Extensive color-coding is a critical element of the structure. Please bring 4 colored markers or pencils in blue, green, red and black. In addition, please bring the following template and protractor. These items pictured below are recommendations only, and do not need to be these specific brands. 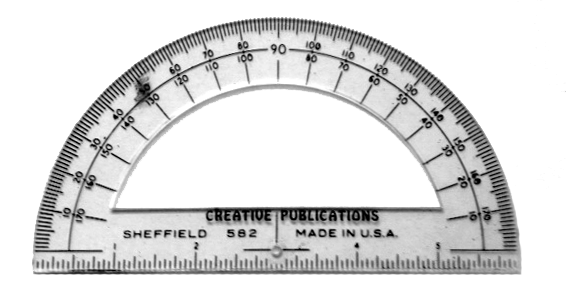 However, it is recommend the protractor to be a little larger and clear rather than small and opaque. Optional Academic Credit Costs & Registration: Optional units of credit are available for each course at the low cost of $134 per unit, paid directly to CSUEB Continuing Education. Credit registration forms, payment instructions, and the grading policy will be provided on the first day of class. All credit registration forms must be submitted with payment to the MMR instructor by the end of each course. No exceptions.